An interesting concept car appeared at the 2007 Tokyo Auto Salon motor show. 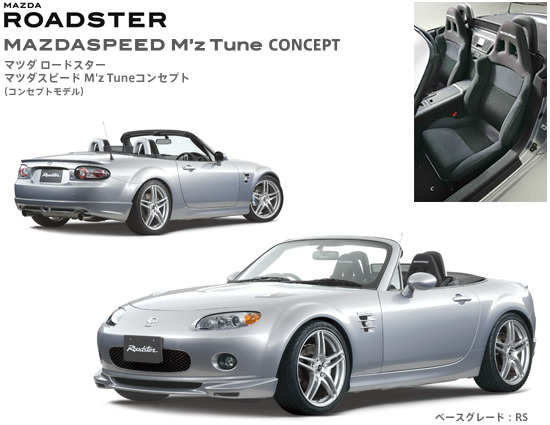 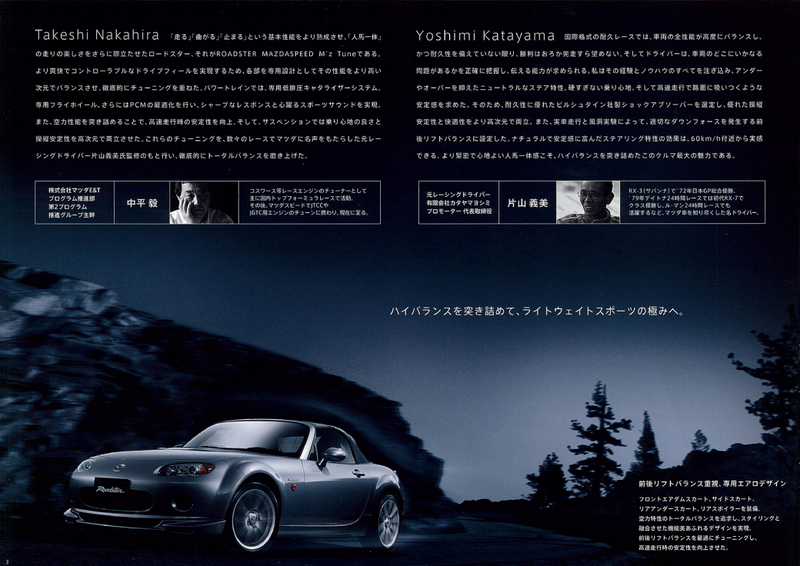 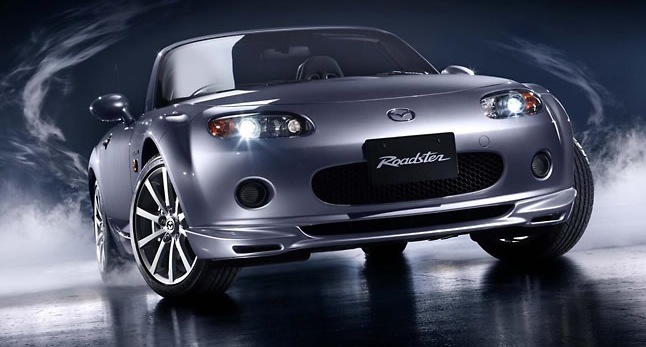 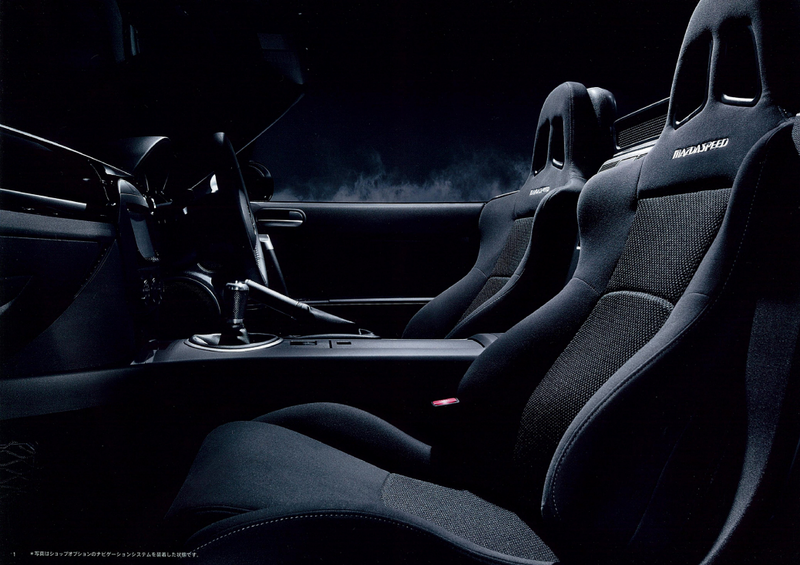 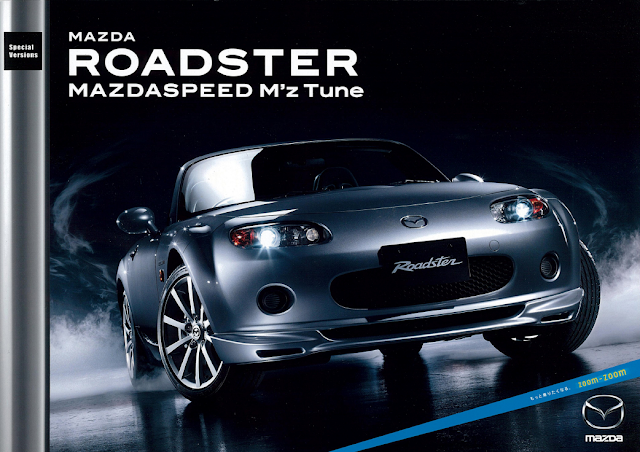 As part of a series of M'z Tune cars including the Atenza and RX-8, Mazda's Engineering & Technology division produced a Mazdaspeed concept of the Roadster. 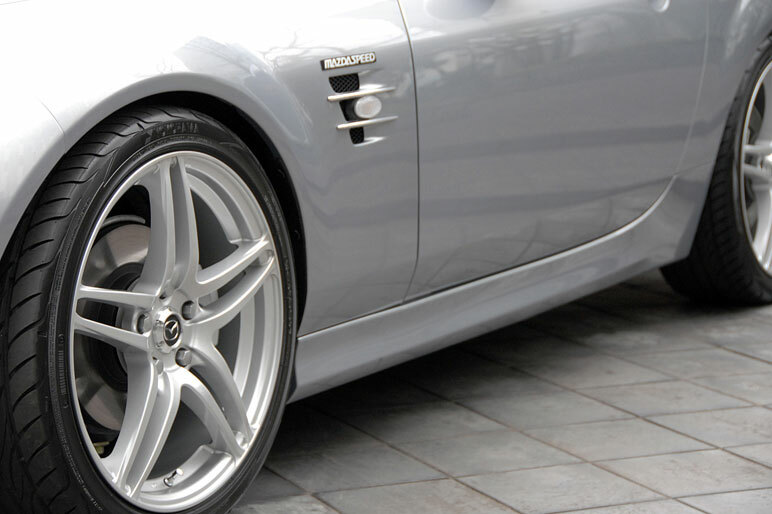 Their aim was to further enhance the driving experience in almost every way. Based on the RS grade, the M'z Tune concept featured some unique body styling parts that would not be seen on other models. 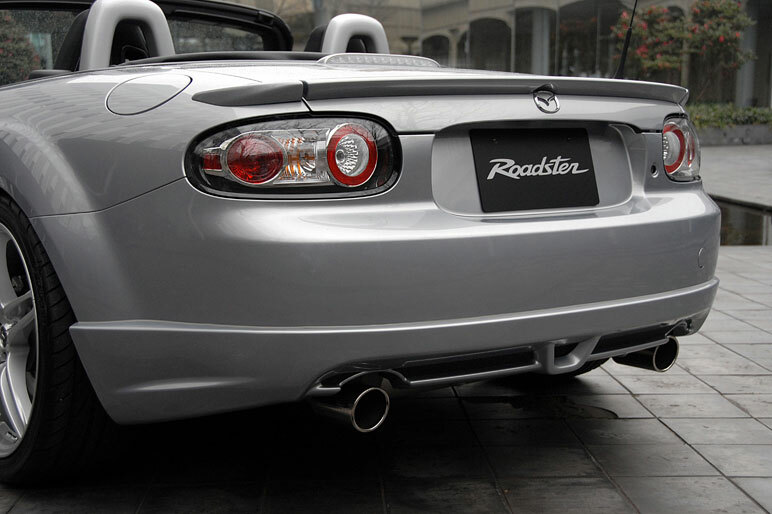 The front airdam and rear skirts were a unique design, and were combined with appearance package dynamic design side skirts, the Mazdaspeed bodykit 3-piece rear lip spoiler, and an 18" version of the Yokohama AVS Model T5 alloy wheel. 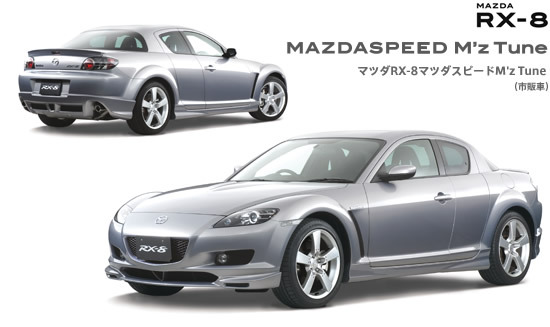 The concept also featured a vented bonnet and vented front wings with the side repeater integrated into them. 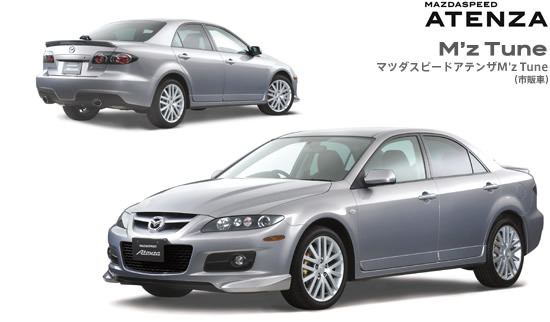 Mazda E&T didn't just add some exterior aero parts, the car also benefits from several performance enhancements such as upgraded height-adjustable silver Bilstein dampers (tested at the Nurburgring) instead of the standard yellow versions. 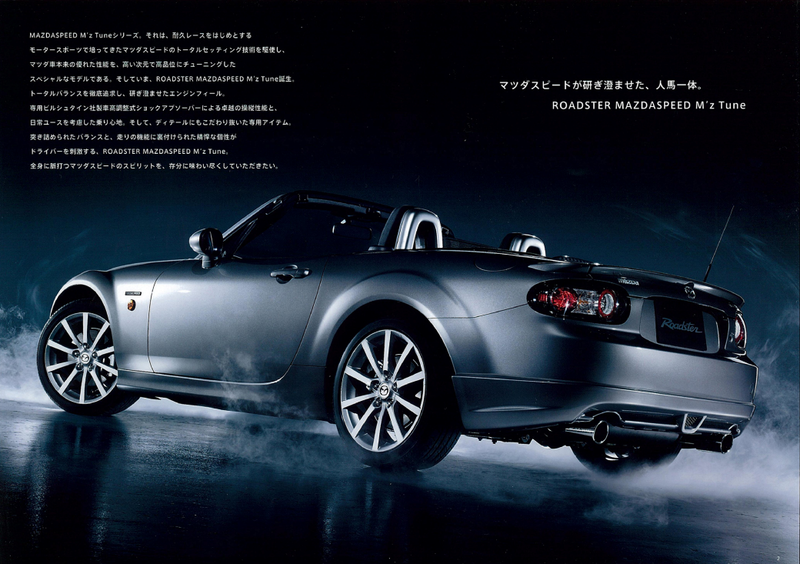 The ECU was adjusted to give a slightly higher rev limit than the standard car. 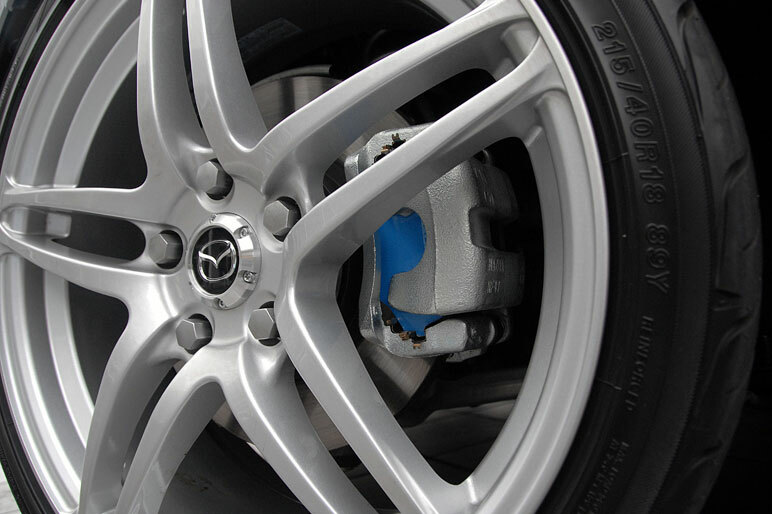 A lightweight flywheel was added together with changes to the intake and high flowing catalytic converter to give both mid-range torque and top-end improvements. 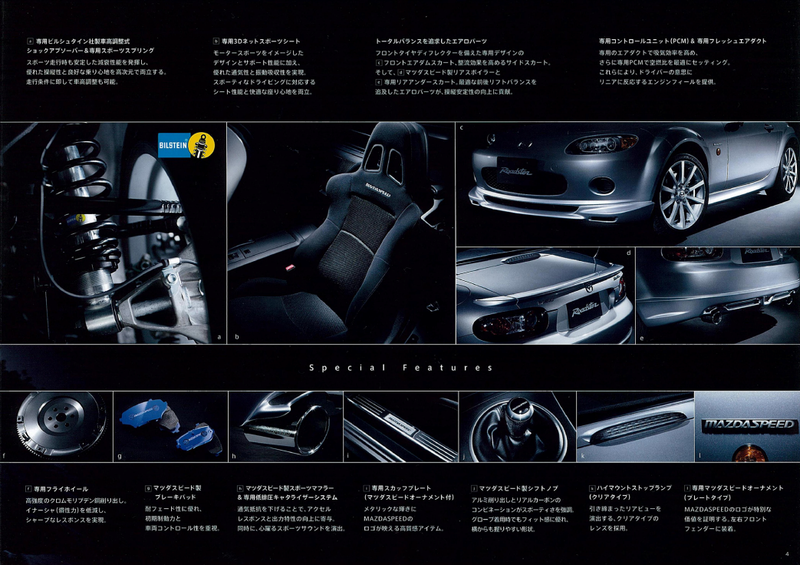 The Mazdaspeed accessory backbox was used to give a sportier exhaust note, Mazdaspeed upgrade brake pads, carbon gearknob, Mazdaspeed stainless sill covers, black 3D Net fabric bucket seats by Mu-Len, and front wing badge were also standard equipment. 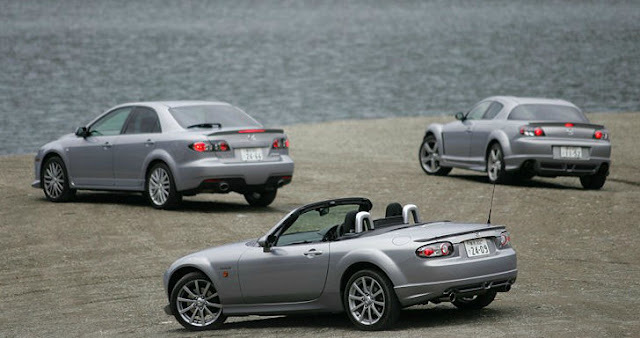 The car also featured a special metallic silver shade called Moist Silver as used across the Mazdaspeed range. 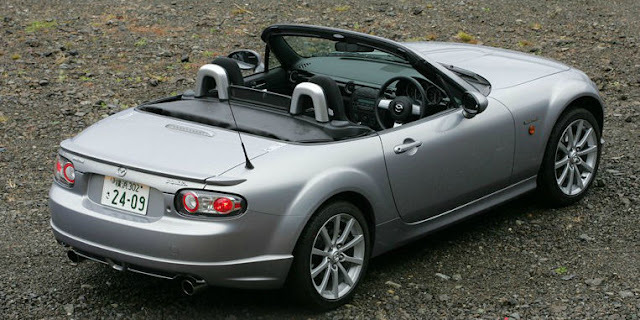 The majority of these features would make it to the final production model with the exception of the 18" alloy wheels and the vented front wings and bonnet as these were replaced with less costly standard items. This model was exclusive to the Japanese market and limited to 200 units. In a couple of years time when import NC models start to arrive, this will be one to look out for. 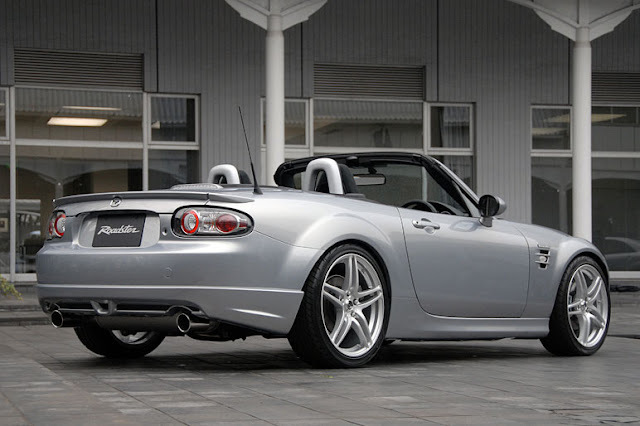 Overall, a very nice edition, I certainly wouldn't say no! 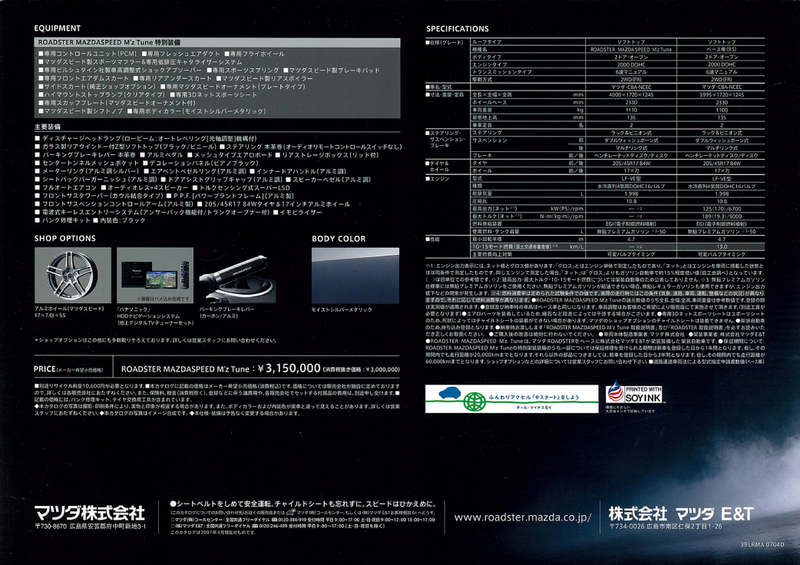 Let's take a look at the brochure.